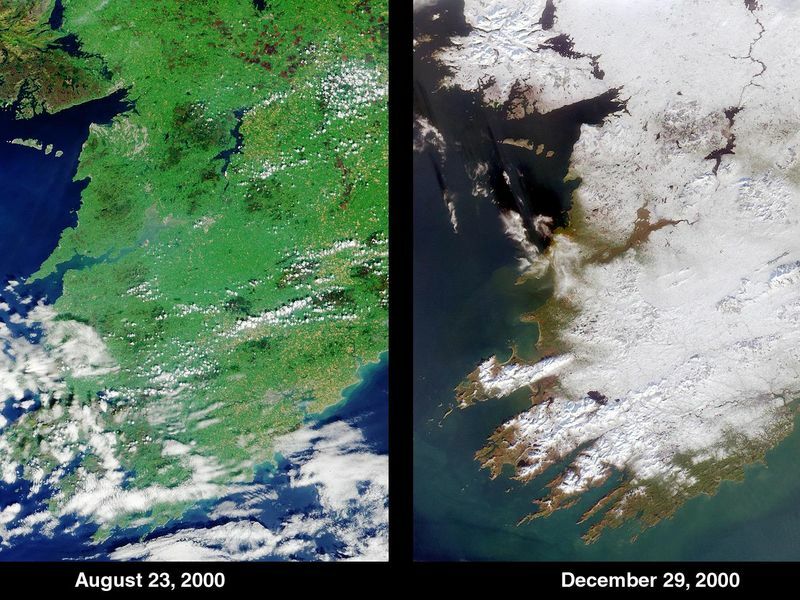 Ireland's climate is normally mild due to the nearby Gulf Stream, but the waning days of 2000 saw the Emerald Isle's green fields swathed in an uncommon blanket of white. 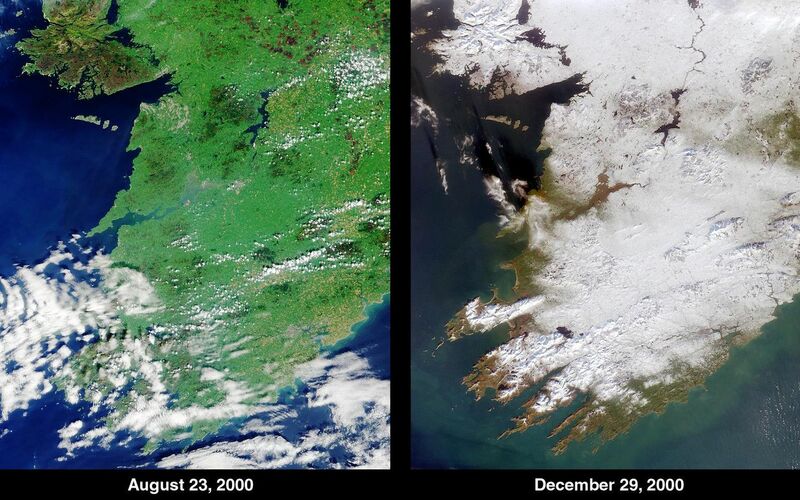 The contrast between summer and winter is apparent in this pair of images of southwestern Ireland acquired by MISR's vertical-viewing (nadir) camera on August 23, 2000 (left) and December 29, 2000 (right). The corresponding Terra orbit numbers are 3628 and 5492, respectively. 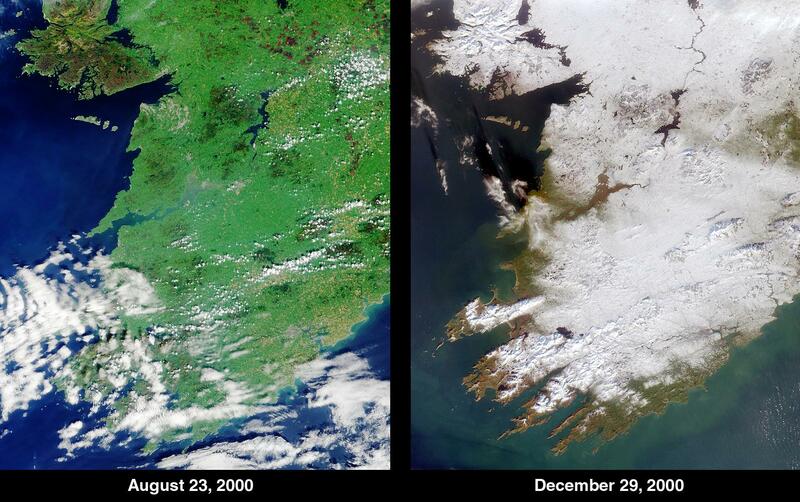 The year 2000 brought record-breaking weather to the British Isles. England and Wales experienced the wettest spring and autumn months since 1766. Despite being one of the warmest years in recent history, a cold snap arrived between Christmas and New Year's Day. 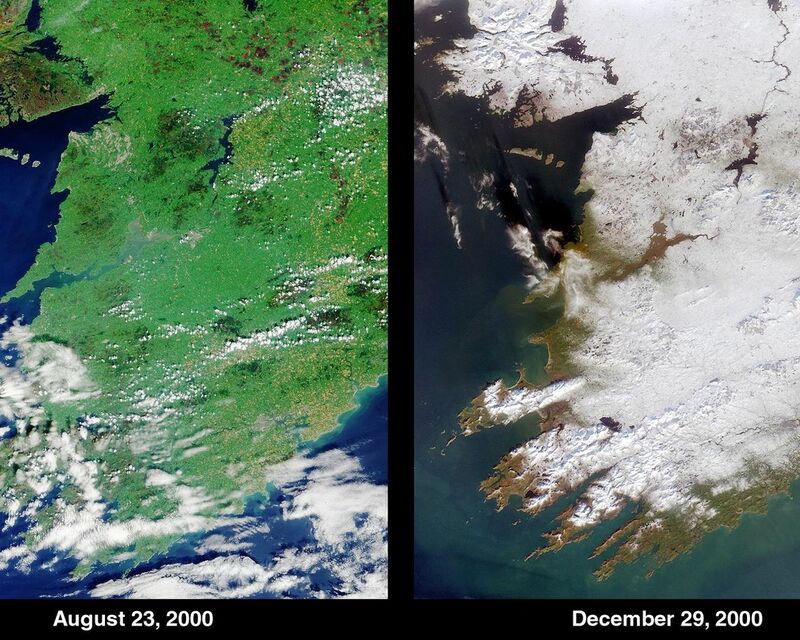 According to the UK Meteorological Office, the 18 centimeters (7 inches) of snow recorded at Aldergrove, Northern Ireland, on December 27-28 was the deepest daily fall since 1930. Prominent geographical features visible in the MISR images include Galway Bay near the top left. Further south, the mouth of the River Shannon, the largest river in the British Isles, meets the Atlantic Ocean. In the lower portions of the images are the counties of Limerick, Kerry and Cork.